The Edmonton Oil Kings stretched their unbeaten-in-regulation streak to five games Saturday afternoon, downing the Calgary Hitmen by a 3-2 final on Sportsnet’s Saturday Showcase. 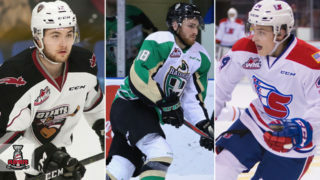 Carter Souch and 2019 NHL Draft prospect Vladimir Alistrov each had a goal and an assist while defenceman Conner McDonald hit 100 points for his Western Hockey League career with a pair of assists. However, it was another 2019 NHL Draft prospect in Matthew Robertson that opened the scoring with the only goal of the first period, firing a shot through a maze of bodies. 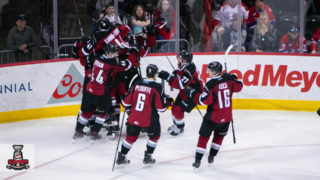 Souch made it a 2-0 game 42 seconds into the second period as he picked up a loose puck during a scramble in front of Hitmen goaltender Jack McNaughton, spun around, and beat the Calgary goaltender at the edge of the net for the second goal of the game. Calgary would have a response minutes later from the stick of overage forward Luke Coleman, who was cutting behind the net with the puck, only to put it into the crease where it appeared to deflect off the stick of Dylan Myskiw and into the net. The Oil Kings would restore their two-goal lead early in the third as Souch controlled the puck through the slot, down low, behind the net and then found Alistrov in front for the perfect pass that was quickly deposited into the back of the net, making it a 3-1 game. Less than four minutes later though, the Oil Kings would put the Hitmen on the power play, one they take all of three seconds to utilize as Carson Focht blasted a shot past Dylan Myskiw to pull Calgary back within a goal. That’s as close as they’ve come though, with Myskiw standing tall to make 25 saves on 27 shots. McNaughton stopped 24 shots in the narrow loss. 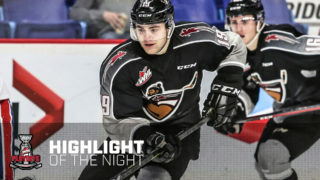 2019 NHL Draft prospect and Hitmen captain Mark Kastelic picked up a single assist in the contest, as did Riley Stotts (Toronto Maple Leafs) and Hunter Campbell. Liam Keeler and 2019 NHL Draft prospect Josh Williams picked up helpers for the Oil Kings in the victory. Saturday’s win also opened up a three-point lead on the Red Deer Rebels for first in the Central Division, with the Rebels scheduled to play Saturday evening at home against the Lethbridge Hurricanes. 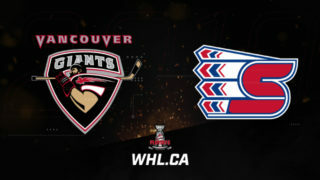 A double dose of CHL on Sportsnet action will take place this week in Western Canada. Wednesday, the top 40 prospects in the Canadian Hockey League will convene in Red Deer, Alta. for the 2019 Sherwin-Williams CHL/NHL Top Prospects Game. 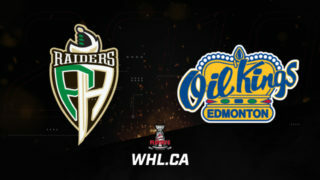 Thursday night, the league-leading Prince Albert Raiders roll into the Lower Mainland to take on the B.C. 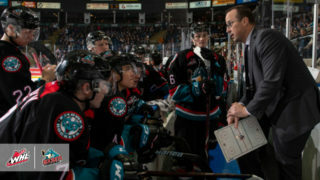 Division-leading Vancouver Giants. Winning looks good on the @EdmOilKings & so do these jerseys. Let the @remaxwesterncan Presents: #WHLSuitsUp w/ @CoachsCornerDC to Promote Organ Donation games begin!